Meet our dedicated board members! Founder and Chief Executive Officer Kat Slater has been working since she was 18 years old to create a nonprofit that provides local women running orphanages in Africa with what they need, according to them. She began this quest after visiting South Africa for the first time in 2006 on an Exposure Trip. Kat did many different things including food and medication delivery, clinic work, orphan care and hospice care. Upon her return she started working for a U.S. nonprofit called Balance4kids(B4K) where she worked developing curriculum and behavior techniques for children with special needs and developmental disabilities in the school system. 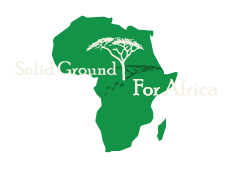 During the five years she worked for B4K, she started her own nonprofit: Solid Ground for Africa (SGA). Kat returned to Africa in 2009 to interview orphanages all over South Africa and Kenya with the main question “What do you need?” She discovered that the main need was a sustainable and independent income. Finding the right partner to create a sustainable system that allowed these women to make money for both themselves and the orphaned children wasn’t easy. However, she was determined to partner with a local woman in order to best respect culture and understanding. Kat was introduced to Karambu Ringera, Founder and President of KACH children’s home and International Peace Initiatives, in 2010. A shared passion to create sustainable development in orphanages made their partnership a natural fit. After running the nonprofit SGA for several years, Kat felt that the sector was moving in a more business-like direction. Following her passion for best practices within her nonprofit, she returned to school. She graduated with her Bachelor’s degree in Global Nonprofit Enterprise in 2017 and is now back to running SGA full time. Beth Williams believes strongly in community service and giving back. She has a Bachelor’s degree in Economics with minors in business and philosophy from Randolph-Macon Woman’s College and a Master’s in Publishing from the George Washington University. She has held key roles in research firms working in best corporate practices, as well as energy and the environment. She currently works in childcare and education. Beth has volunteered with Therapeutic Riding programs for nearly 20 years, supporting people with disabilities and life-altering medical needs through physical and animal therapy. She is the co-founder of a small independent publishing house that supports artists in accomplishing their dreams. She has also published a children’s book about the positive impacts of therapy animals. Bachelor's degree in nursing from UC Denver. Steph visited Kenya and South Africa with Kat in 2009, where she was able to volunteer at a rural clinic and a local hospice. From the moment she heard about Kat's dream and saw her unwavering passion to help women and children in Africa, Steph has been an active board member and a firm believer in their ability to create positive change. Prior to her involvement with SGA, Steph has participated in several medical internships and volunteer opportunities in Mexico. She is excited to see SGA growing rapidly and can't wait for the next opportunity to go back to Kenya.